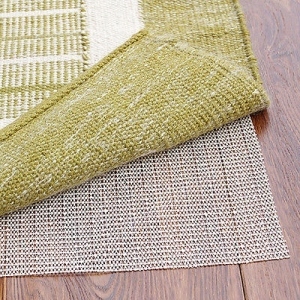 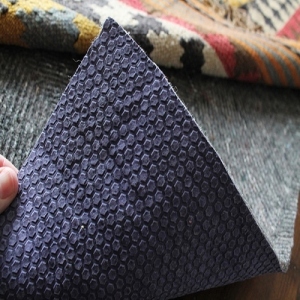 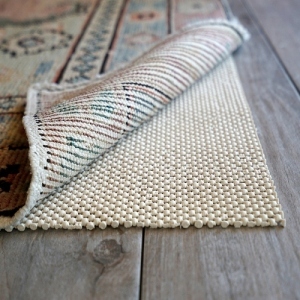 Keep your new area rug, and your floor, in great condition by purchasing area rug pads. 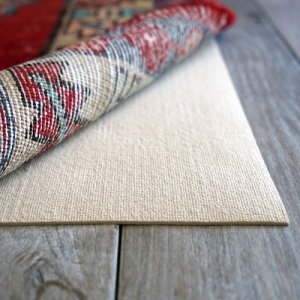 Rug pads are an essential addition to an area rug purchase as it will support your rug evenly and make your rug grip hard surfaces such as wood and tile. 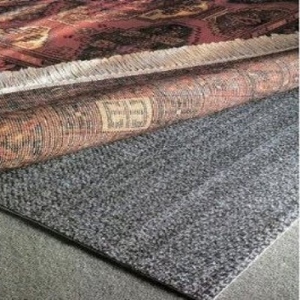 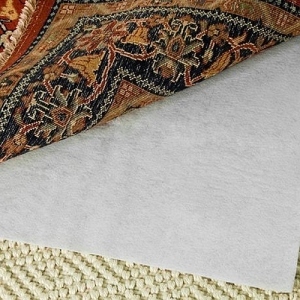 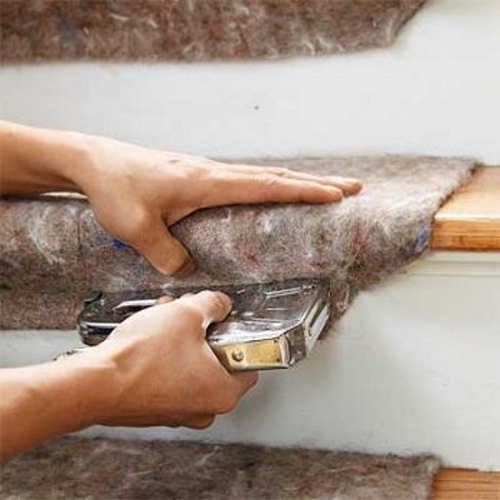 While pads are designed to keep your area rug in place, the rugs will still be able to breathe, which is essential for reducing moisture build up. 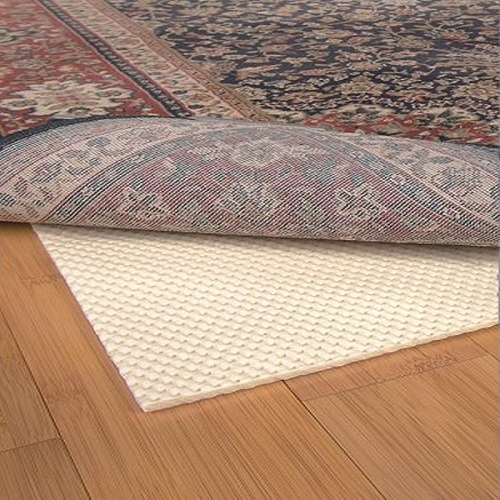 These factory direct rug pads come in several different styles and can be custom cut to fit your rug size.